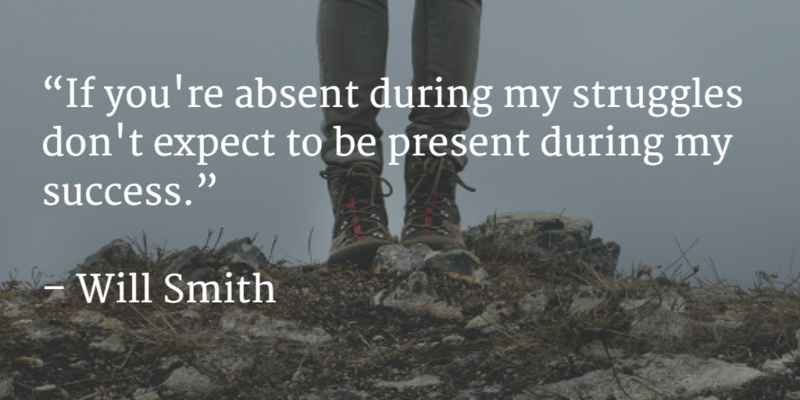 If you’re absent during my struggles don’t expect to be present during my success. If you see someone struggling in some area (work, family, finances) come along side them and help them. Don’t expect anything in return. It will pay off in the end. Likewise, remember those who helped you when you were struggling and reward then for their support.